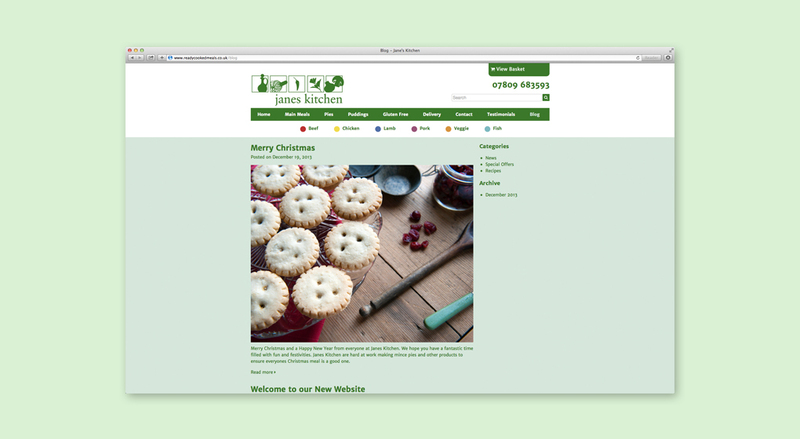 Jane's Kitchen is a company based in the south of England who produces homemade ready cooked meals who presently sell their products at markets throughout the Hampshire and Berkshire area. 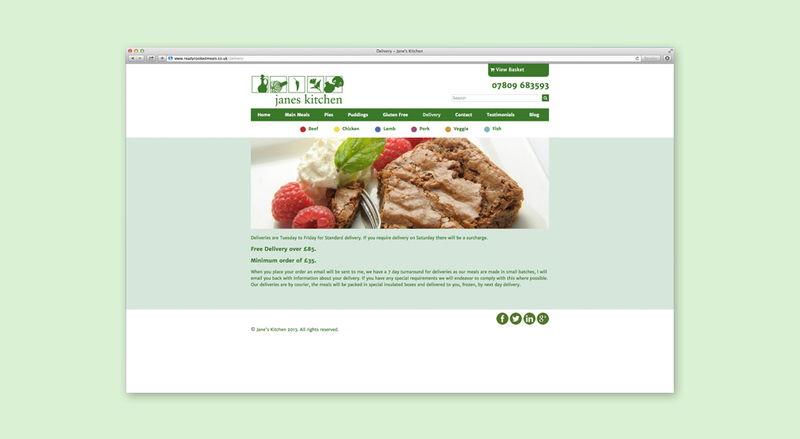 Jane's Kitchen approached Snap to create a platform to sell their products to an online audience. 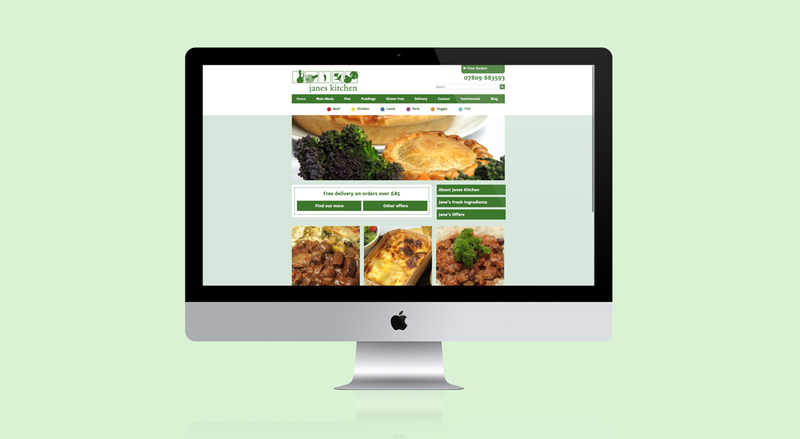 The requirement was a responsive ecommerce website, which would allow users to easily view the food, the different food groups & for customers to place orders online. 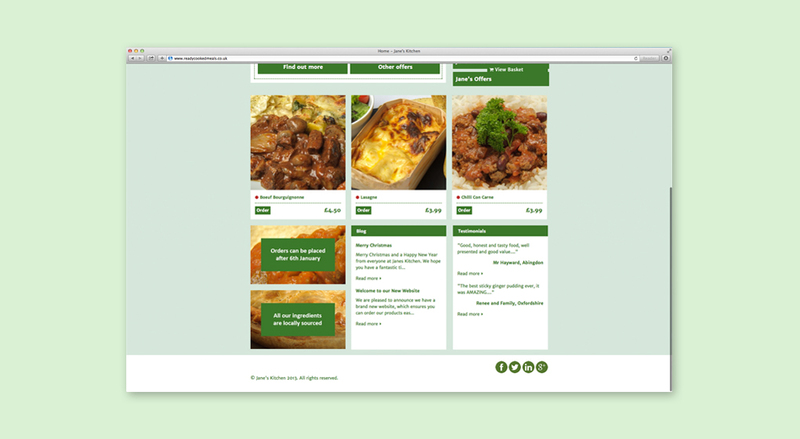 Snap decided when tackling this design brief that the products were the main visual focus point as the food is what users have come to the site to view & be informed about, along with cost & ease of use of ordering. 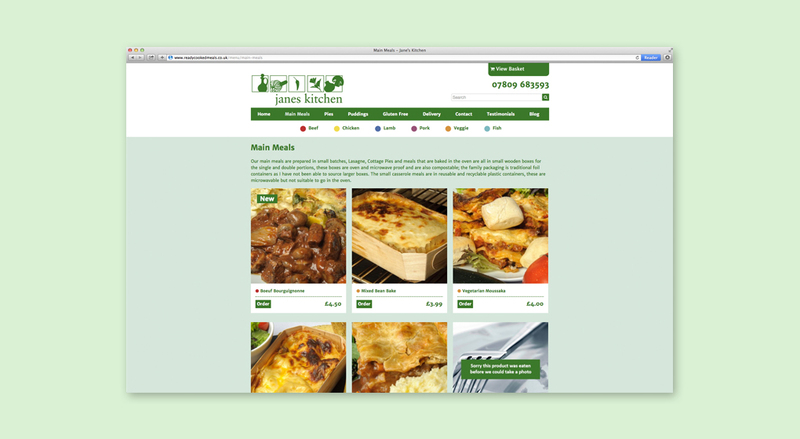 We achieved this by using large high quality images of the food, clearly colour coding the food areas with strong call to actions on promotional products to enhance the user experience.